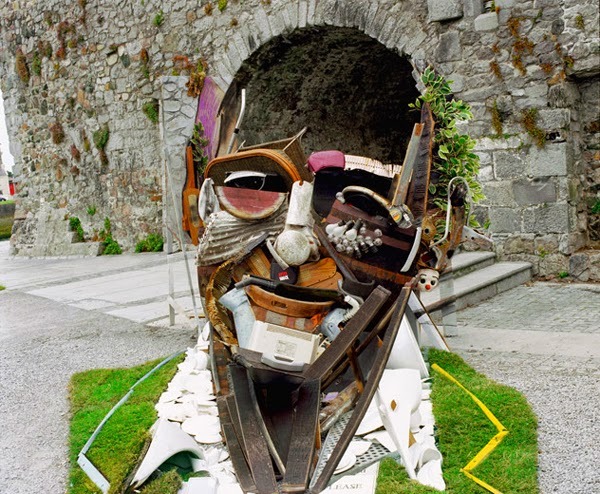 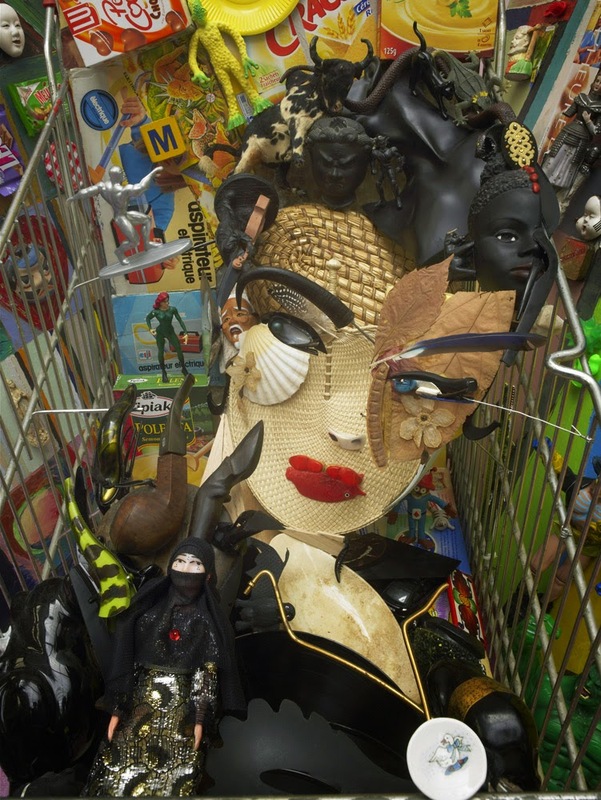 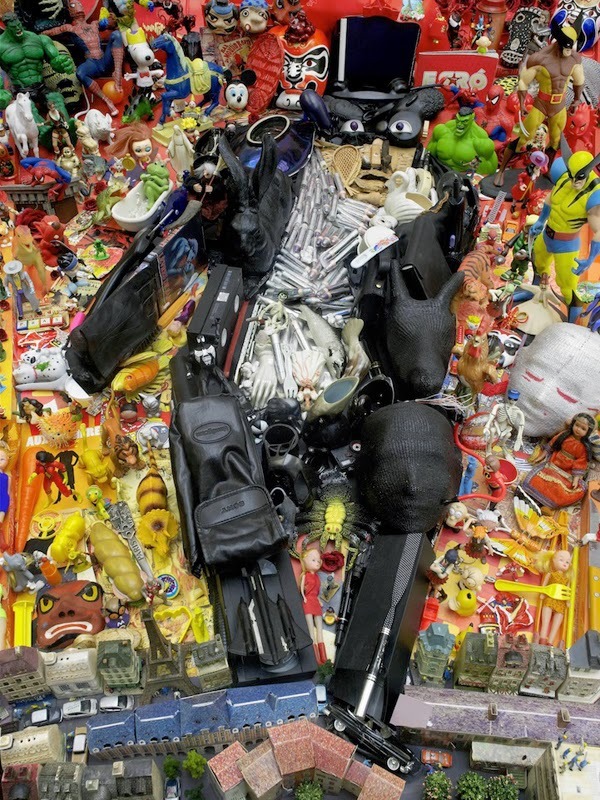 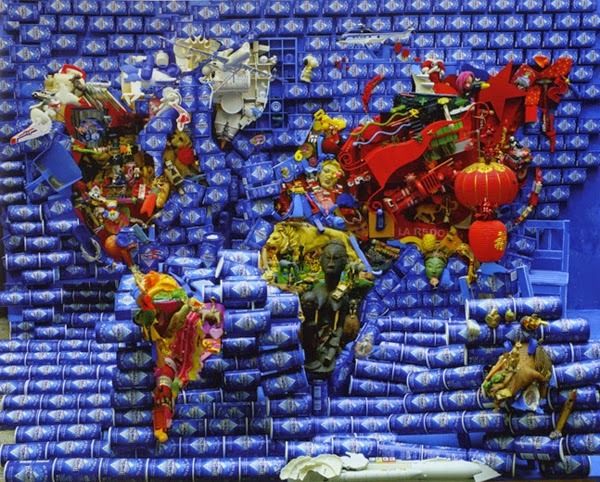 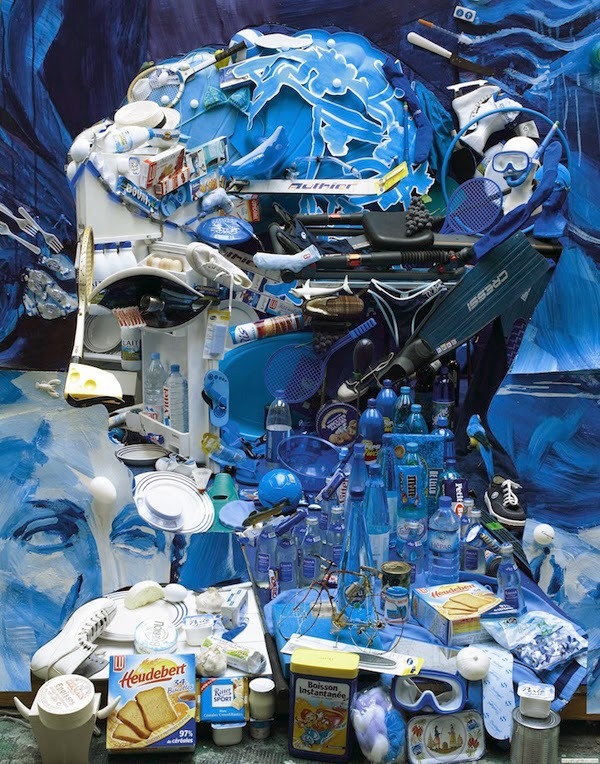 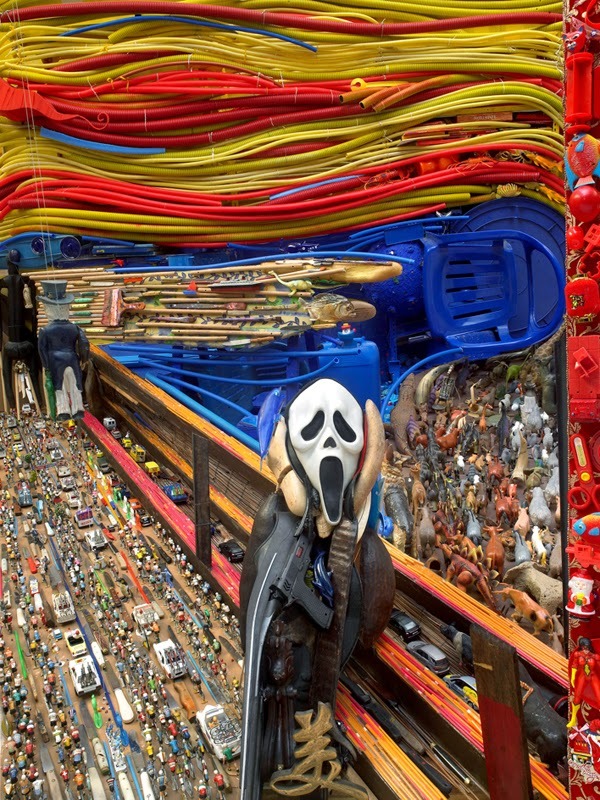 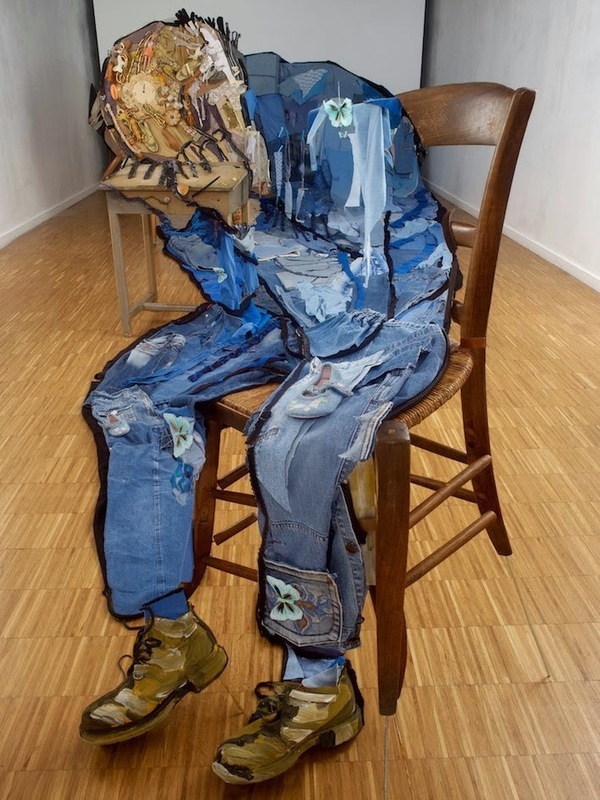 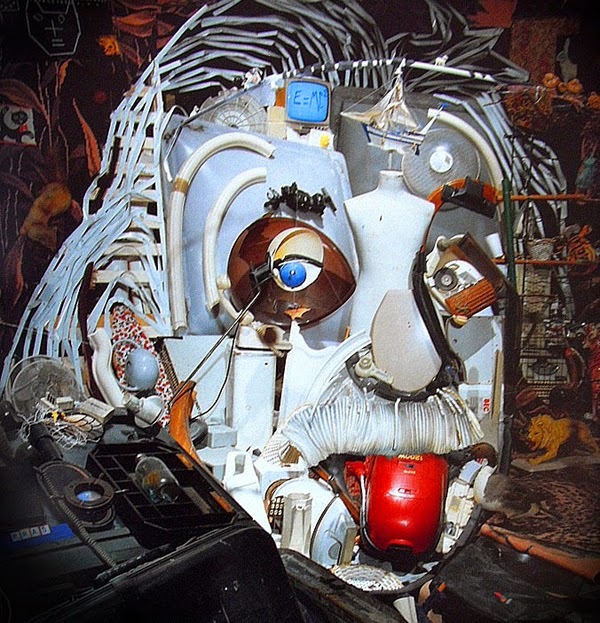 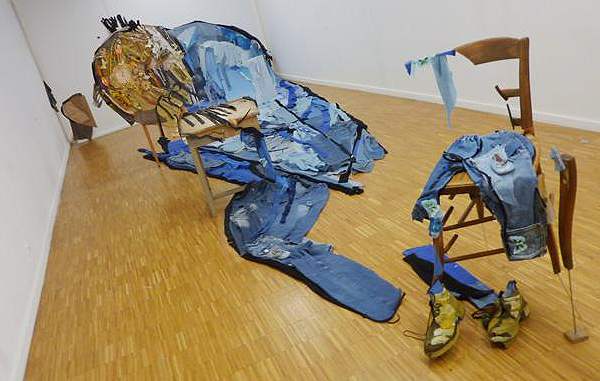 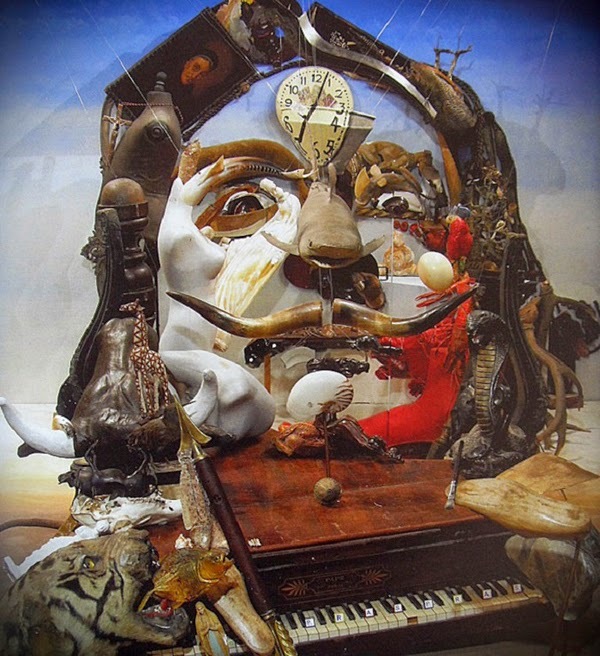 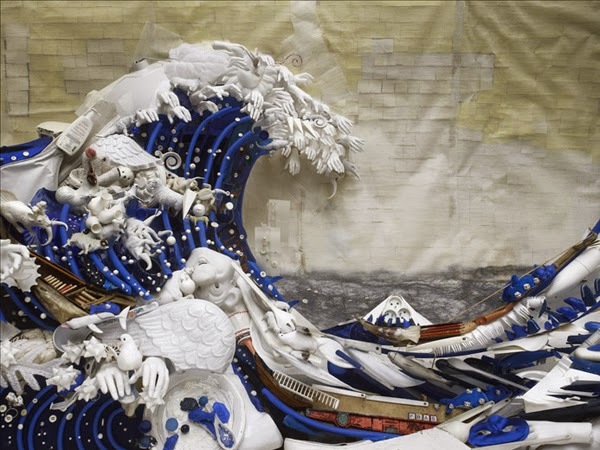 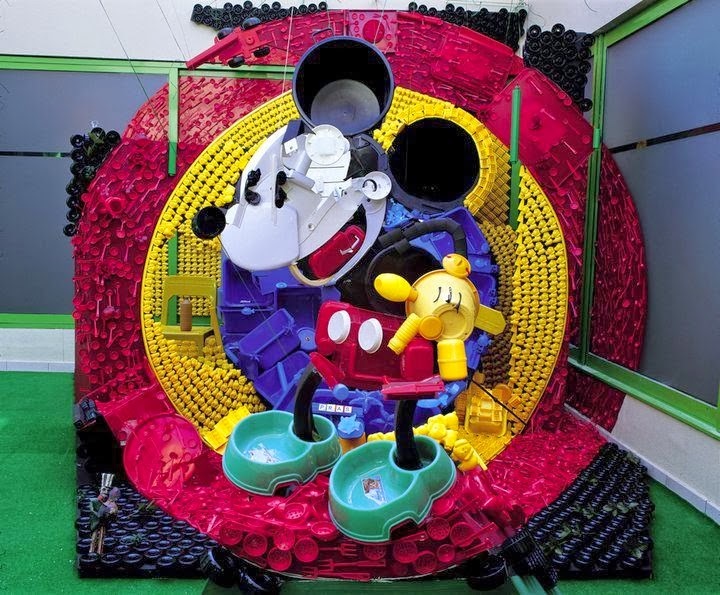 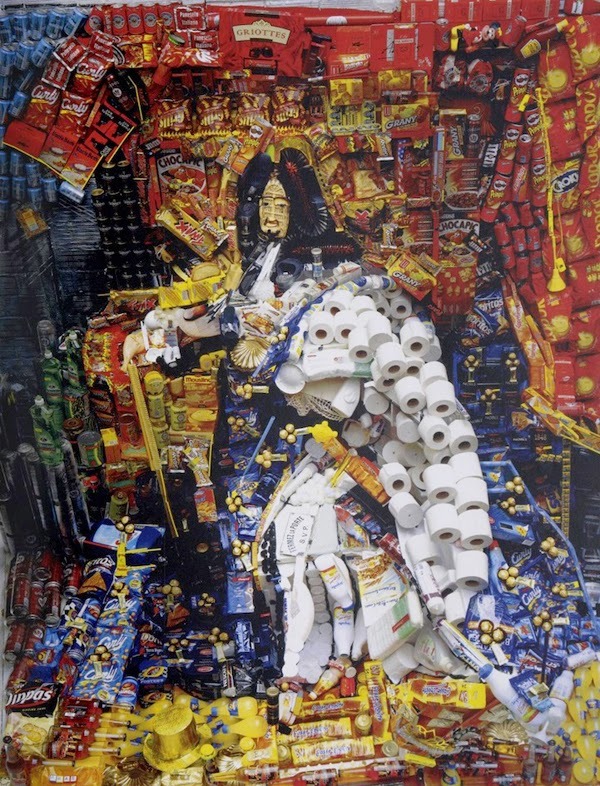 French Photographer and Sculptor Bernard Pras constructs these anamorphoses sculptures (they are a distorted image, or in this case, what seems to be a random collections of objects, that when looked at from a precise angle, create an image). 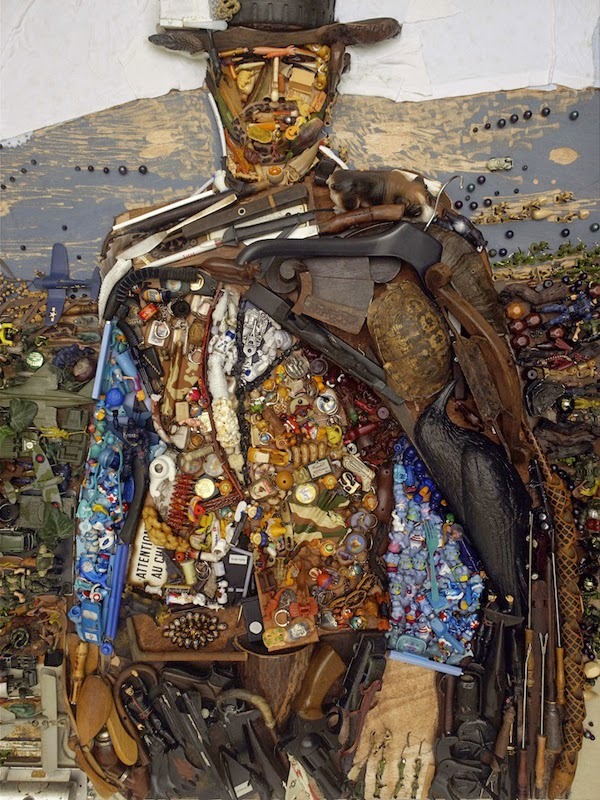 The picture above shows this and the 3 videos below go into in more detail. 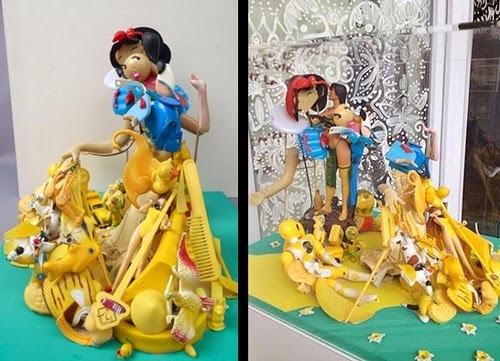 The first video is a bit longer and it shows the process Pras goes through, to acquire every piece he needs for the finished image. 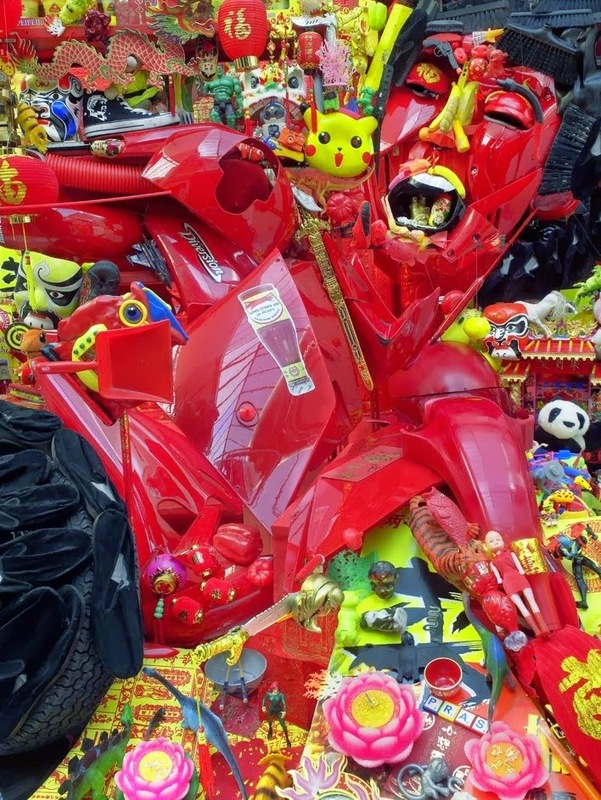 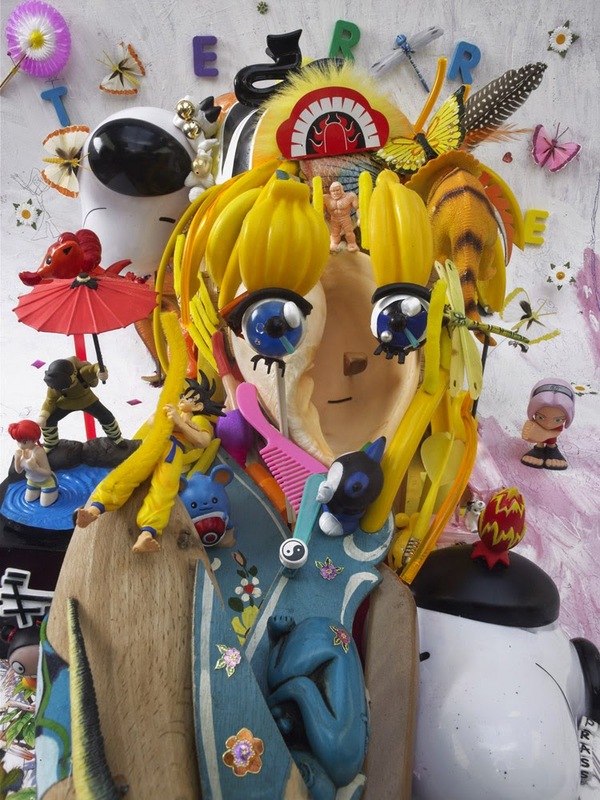 In his art he uses all sort of materials from recycled items to clothes, jewellery, toys, most anything from a toolbox, to a piano and anything else that suits the image he is trying to construct.